Picture above c.1989, courtesy of Donald Kirkbryde. Photo here courtesy of Scottish Screen Archive. Opened in 1887 as a variety theatre. Altered April 1903 by architect W Alexander, at which point it sat 960. Cine-variety and film seasons from May 1909. Sold to RC Buchanan in 1910. Sold to Victoria Cinema Ltd, and renamed, October 1915. Reverted to cine-variety in early 1930s. Sound equipment fitted in 1935. Sold to JB Milne at some point around 1935. 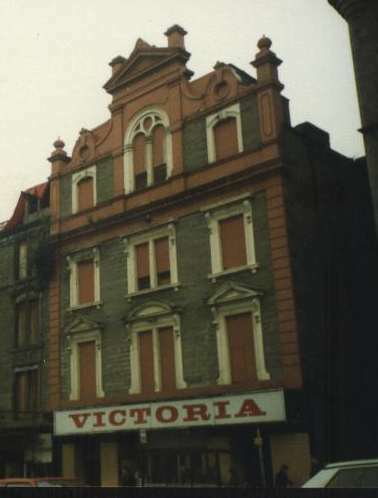 Closed after being condemned, 1989. Demolished.